Remember that Ronda is also well serviced by trains and it is very easy to Book a train to Ronda, and train daytrips to the Alhambra in Granada, Mezquita in Córdoba, or the Picaso Museum in Malaga. 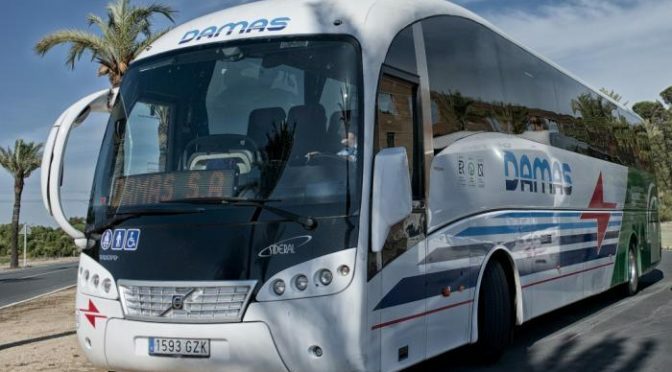 There are several bus companies that service Ronda and the villages of the Serranía de Ronda, these are Damas, Comes, Transportes Generales Portillo, Horizonte Sur, Autocares Lara, and Sierra de las Nieves. The main bus station in Ronda is not in the town centre, although it close enough to be only a short walk, our directions from the Ronda bus station are all you need. The bus station in Ronda whilst old, and in need of renovation, is also the busiest transport hub in Ronda, and if you need to find it, the address is Plaza Concepción García Redondo directly in front of the roundabout. Enter through the main entrance to the left side of the ONCE kiosk. On a busy day several thousand people can pass through, so essential services such as free public lavatories, luggage storage (lockers), a small newspaper and map/postcard stand, a bar, and an ONCE lotto kiosk are on site. Bus services to Ronda from major cities only include Sevilla, Málaga, Marbella, Cadíz, Algeciras, and Fuengirola . All other destinations need to be reached by train from Ronda, or by connecting bus in either Sevilla or Málaga.